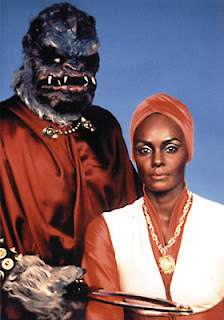 Happy Halloween from Space: 1970! As a Halloween Special, here's my review of the Shout! 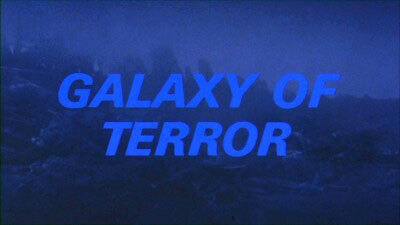 Factory Blu-ray release of one of my favorite "Space Horror" films, 1981's Galaxy of Terror. This review originally appeared at my DVD Late Show site in July of 2010. Intended as a budget-conscious rip-off of Alien, the Roger Corman-produced, sci-fi horror thriller, Galaxy Of Terror (1981), has been a much sought-after title for cult film fans for years. Previously released back in the 80s on VHS in a dark, fuzzy, full-frame version, Shout! Factory has now brought the movie to digital disc in high style. 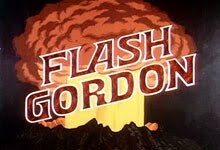 With the kind of eclectic cast that makes B-movies so much fun to watch - including Jason Of Star Command's Sid Haig, Robert Englund, Erin Moran, Edward Albert, Ray Walston and Grace Zabriskie - imaginative production design and second-unit direction by a young James Cameron (fresh off of Battle Beyond The Stars), and a memorable, show-stopping, classic exploitation sequence where a beautiful young woman (Taaffe O'Connell,) is sexually assaulted by a gigantic space slug, Galaxy Of Terror delivers a solid 81+ minutes of late night sci-fi horror for cult film aficionados. There's really very little story here, and director Bruce Clark seems to have been just going through the motions, but Cameron's sets, costumes and miniature effects designs (as well as his stylish second unit direction) make the film look much more expensive than it really was, and the veteran actors manage to breathe a surprising amount of life into the cyphers the script gives them to play. 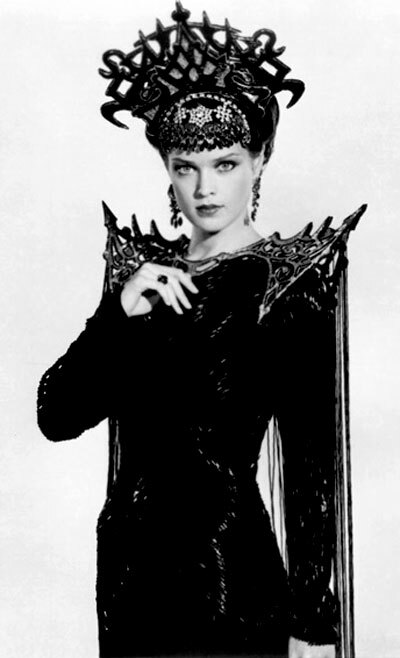 Corman's crew - most of whom went on to stellar Hollywood careers - also accomplishes some genuinely striking pre-CGI special effects that hold up astoundingly well, even nearly 30 years later. There's lots of great miniature work, a bit of stop-motion animation, and plenty of convincing and disgustingly bloody demises. Originally released theatrically as Mindwarp: An Infinity Of Terror to disappointing box office returns, Corman quickly retitled it Planet Of Horrors, and then Galaxy Of Terror, and created a new, more lurid, pulpy ad campaign. 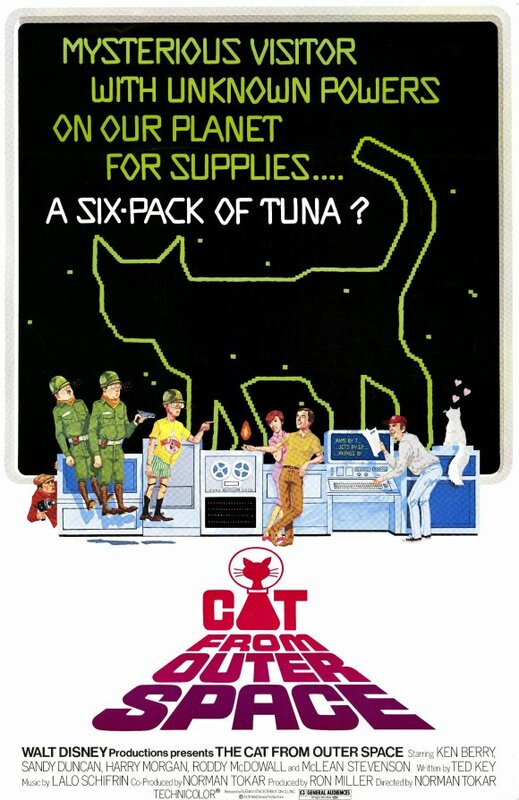 It worked, and the movie was a moderate hit in the autumn of 1981. Shout! Factory gives another "Roger Corman Cult Classic" the Rolls Royce treatment on Blu-Ray disc, with a remarkably clear and detailed 1.77:1 1080p HD widescreen transfer that is light years away from the murky VHS version that I bought more than a decade and a half ago. Audio is presented in Dolby 2.0 mono. As with their other Corman titles, Galaxy Of Terror is just loaded with supplemental features, including an entertaining cast & crew commentary, an extensive, multi-part documentary on the making of the film, huge still galleries, and trailers for the feature and other Corman titles coming from Shout! In addition, there's a 12-page booklet of liner notes! And if, for some reason, you prefer the MINDWARP title, the company has thoughtfully printed that title and poster artwork on the reverse side of the disc sleeve, so you can shelve your disc under that name, if you like. It's exciting to finally see a good (far better than good, actually) presentation of this long-time B-flick favorite, and the abundance of informative and engaging bonus features is just icing on the cake. 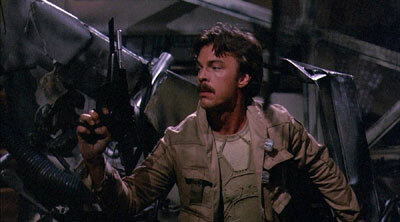 If you're a fan of "astronauts in hell" movies, Galaxy Of Terror is one of the best. 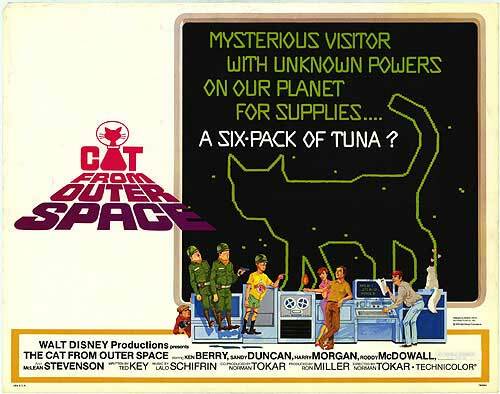 Sure, it's illogical and tasteless, but it's also a heck of a lot of fun, and looks great in high-def. 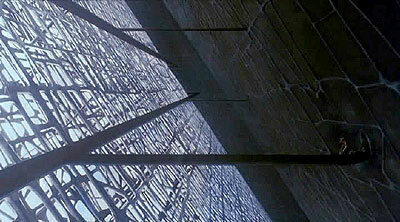 Besides, how many other films have little Joanie Cunningham meeting her gory demise in the bowels of an alien pyramid? 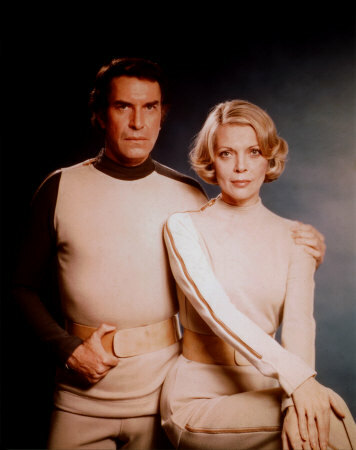 Once again, we delve into the unexplained mysteries of the Space: 1970 era - specifically, the mysteries of sci-fi shows of the Seventies. 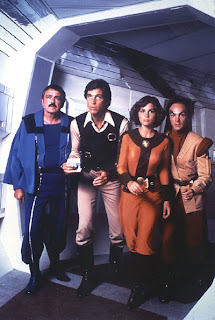 When I wrote one of these articles about Space: 1999 a few months ago, people kept bringing up stuff from novelizations and other non-canonical media to explain things away, but I'd rather try and figure things out using only the evidence presented on-air. The idea is to have some fun indulging in some fannish speculation and mining the shows themselves for clues. This time, we're looking at Filmation Studios' 1978-70 Saturday morning adventure serial, Jason of Star Command. 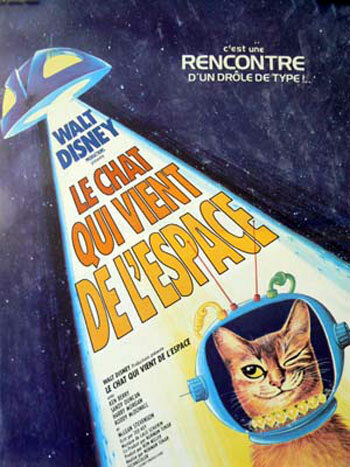 The first - and biggest - question, of course, is: what the hell is Star Command? We're told that it operates "out of a secret section of the Space Academy," but what is never made clear is what exactly the relationship between Star Command - which certainly sounds like a vast galactic military, or at least, peacekeeping organization - and the Academy actually is. 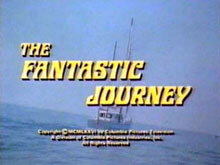 The mundane reality is that Filmation simply re-used the preexisting (and already paid for) sets, costumes, and many of the effects from the previous season's Space Academy series in order to reduce costs on the later show, allowing them to spend more of their Jason budget on new effects shots and sets (the interior of Dragos' Dragonship, for example). But what we're talking about here is the universe of the show, not real-world economics. 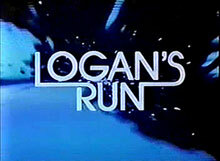 As a kid, I actually wondered about this stuff, trying to reconcile the storylines and characters of the two shows, and make sense of their shared universe.The creators may not have thought it was important, or just treated the two series as independent of each other, but I was 14-15 years old, and it was pretty damned clear to me that the shows were - or should have been - taking place in the same fictional "world." 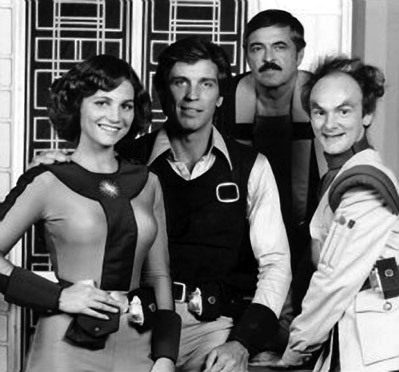 The appearance of Space Academy characters Matt Prentice and the robot Peepo in the later show, only reinforced that conviction. So, was Star Command the authority under which the Space Academy operated? Were its cadets being trained to serve in the Command? And if so, who was in charge of the school facility itself? SC's Commander Carnarvin and/or his unnamed, blue-skinned successor? 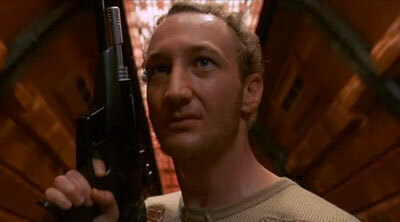 Or Commander Gampu? For that matter, was Gampu a Star Command officer? The uniform was the same... so I'd say "yes." 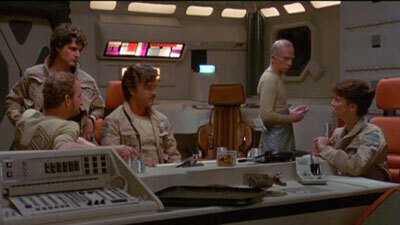 And if Star Command operated out of the Academy, was there more than one control room? Where was Gampu when the SC crew was running the show during Jason, flying that built-up asteroid all over the galaxy and engaging in battles with Dragos' drone ships? 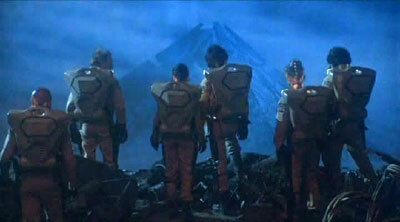 Of course, we never saw very many adult Star Command officers stationed on the Academy asteroid. 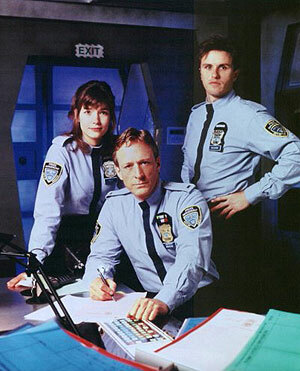 Just Canarvin (and his ill-tempered successor), Captain Nicole Davidoff (who wore a distinctively different uniform from that of the cadets that swarmed the Academy corridors), and Professor Parsafoot, who, like Jason (and later, Samantha), may have actually been a civilian only working with the Command. 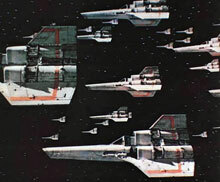 This suggests that Star Command itself was a bigger organization based elsewhere, and that Canarvin's operation at the Academy was simply a small task force assigned there to protect the educational institution and monitor the sector of space in which the school was located. If that was the case, then it may have been standard procedure for the Star Command contingent to take control of the institution during combat situations, and Gampu simply stepped aside (off camera) on those occasions. Another big question - just who was Jason? It's clearly established that he is a civilian, and that, while trusted, he has a reputation for not following Star Command protocols. Being a kid's show, no backstory is provided for the character, nor is any personal history ever revealed or even hinted at. Obviously, he's valued for his piloting abilities, and as a civilian, perhaps he has some use as a secret agent, operating in areas and/or situations where uniformed Star Command officers cannot. This may explain why Canarvin's azure successor was so distrustful of Jason and his loyalties when he assumed command of the operation in Season 2. 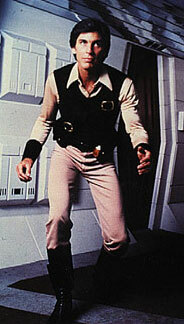 His outfit suggested a swashbuckling nature (and Han Solo, of course), so maybe he was a reformed space pirate? I'd like to think so; it would explain a lot. Dragos is no mystery - he's portrayed as an ambitious galactic warlord. He's even shown building alliances with alien races (witness his council of aliens in S2) and other powerful leaders, like Queen Medusa. We're never told what his home planet is, but that's not really a big deal. He's clearly a threat to galactic peace and his motivations aren't very hard to determine. Greed and a thirst for power are pretty universal motives. For once, there's no real narrative questions regarding second season cast changes, either. As Canarvin and Davidoff were both Star Command officers, it's logical to assume that they were given new assignments (in Canarvin's case, on the U.S.S. Enterprise) and transferred to other posts. Nicole was cute, and I missed her, but Samantha was a much stronger female regular. The actual name of Season 2's commander and his race are unexplained mysteries, but as neither question really impacts the narrative, I'm not particularly concerned. It's sloppy world-building, but not critical in this case. In fact, the only other major question I have about the Space Academy/Jason of Star Command universe is how Tamara Dobson (Samantha) ever managed to get into those pants! Hey, Star Kids.Yeah, I know. It's been a while. All I can say is that I've been occupied elsewhere, and will get back to regular posting here as soon as possible. • Right now, I'm looking for some information. 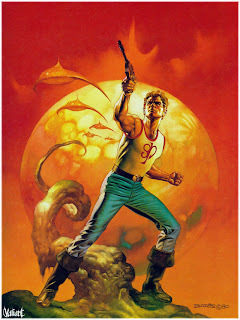 I know that there was a series of Flash Gordon paperback novels published in the 80s with cover paintings by Boris Vallejo (such as the one on the left, which, as Space: 1970 reader Jason Shepherd pointed out when he sent me the scan, has Flash in virtually the exact same pose as Buck Rogers in the Vallejo piece I posted a couple weeks ago). I would like to track these books down, but I don't know any of the titles, nor the author(s). Can anyone provide or direct me to that information? For that matter, anyone know if they're any good? 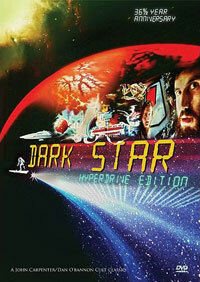 • I've just received a copy of the new Dark Star: Hyperdrive Edition DVD from VCI Home Entertainment, and while I'll be posting a detailed review over on my DVD Late Show website in the next few days, I can say here that this new two-disc release is a marked improvement over the company's previous edition in almost every way, with a notably better transfer and a slew of supplemental materials. 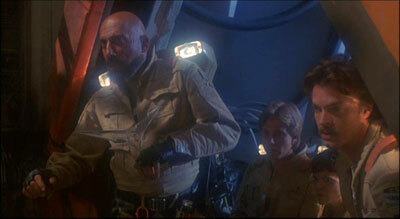 It's not perfect - the lack of participation by director John Carpenter is disappointing - but it's pretty damned good. If you're a fan of the film, the new DVD is highly recommended. 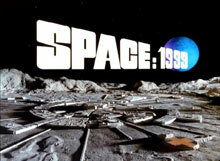 • Although the show doesn't really fall under the chronological purview of this blog, U.S. Gerry Anderson fans who may not have already heard, may be interested to know that his 1994-95 series Space Precinct, starring Ted Shackleford, is due out on Region 1 DVD from Image Entertainment on November 23rd. I only saw two episodes of this when it aired late at night in my South Florida market, and I also read a novelization of the pilot episode, but I thought it was pretty interesting. I can understand why U.S. broadcasters were confused by it, though. It kinda looked like a kid's show, but the stories (at least the ones I saw) were rather serious and adult. Simon MacCorkindale, star of the 1983 fantasy series Manimal (which just barely falls under the purview of this site) has died at age 58, after a battle with cancer. The actor died Thursday night surrounded by his family in a private Harley Street clinic. He had been diagnosed with bowel cancer four years ago, which had later spread to his liver. His wife, the actress Susan George, said he had fought valiantly against the ravages of the disease. "He fought it with such strength, courage and belief. Last night, he lost this battle, and he died peacefully in my arms..to me, he was simply the best of everything, and I loved him with all my heart." 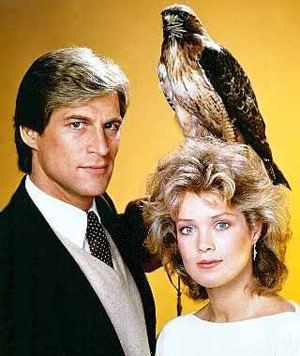 I don't believe I ever actually saw an episode of the short-lived and much-maligned fantasy-adventure series Manimal (which co-starred Flash Gordon's Melody Anderson), but I know it had quite a cult following. 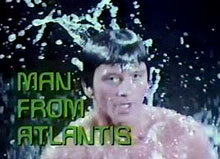 Producer Glen Larson (Battlestar Galactica) even brought MacCorkindale's character back in the 90s to guest star on an episode of his syndicated superhero series, Night Man. MacCorkindale didn't have many other notable genre roles, but I always enjoyed seeing him when he popped up in guest shots on TV. There have been countless (okay, you could probably count them, but who has the time?) film and TV adaptations and variations of H.G. Wells' classic novel, The Invisible Man, but the one that's closest to my heart is the 1975 television series that starred David McCallum, Melinda Fee and Craig Stevens. 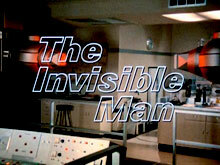 The show was pretty much a knock-off of The Six Million Dollar Man, but instead of the central character having cybernetic limbs, he was made permanently invisible in a laboratory accident. In both cases, the newly-super-powered hero became a secret agent for the United States government. 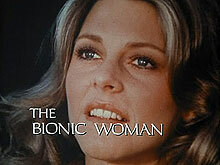 This was the TV era where, if someone got or had superpowers, they generally only had two options: fugitive (The Incredible Hulk, The Phoenix) or secret agent (Wonder Woman, Bionic Woman). Doctor Daniel Westin (McCallum) chose the patriotic route. If I remember correctly, though, he was a little different because, unlike most television superheroes, Westin was married and worked with his wife (Fee). 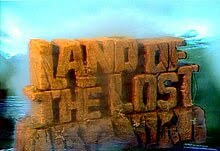 I remember really enjoying this show as a kid, and while the effects are primitive by today's standards, they were pretty impressive in 1975. 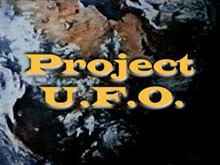 I vaguely recall catching an episode or two in the 90s when they were rerun on theSciFi Channel, and thinking that they were still kinda fun. 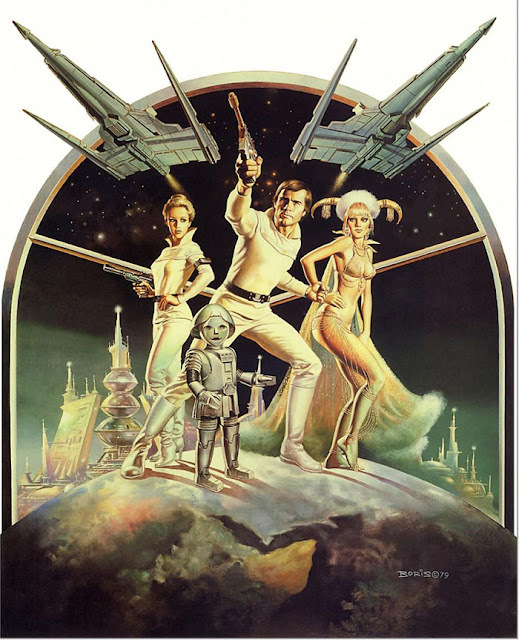 I was surprised when I recently web-stumbled over this piece of Buck Rogers art, because I'd never seen it before. It's signed by fantasy painter Boris Vallejo - does anyone know where this appeared (if anywhere)? * Image replaced with higher quality scan. Thanks, Jason! A&E Home Video have released more specifics in regards to the bonus features that will be included with the new Space: 1999 Blu-Rays -- and it looks like I may have to sell some blood after all. I don't see any other way that I'll be able to afford them. 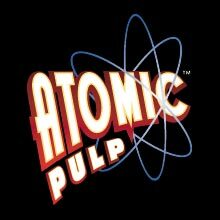 The release will come as a 7-disc set, with the package including 5 Blu-ray Discs full of the episodes and such bonus material as belongs with the episodes (such as commentaries and music-only audio tracks). All remaining extras will be on Discs 6 and 7, a pair of bonus discs which will not be BDs, but rather standard DVD discs (just as was the case with Disc 5 of The Prisoner on BD). TVShowsOnDVD has the complete information on their site. In addition to the details on the supplemental features, the site is also reporting that because of the time required for upgrading the episodes to high definition, the original November release date will not be met, but the discs are expected to street before the end of the year.